Parishioner Rosaleen Doonan, the creator of the lovely St Cuthbert’s garden to the side of the church here at Minsteracres, has volunteered (!) to lead a team of occasional helpers to maintain the gardens around the house. 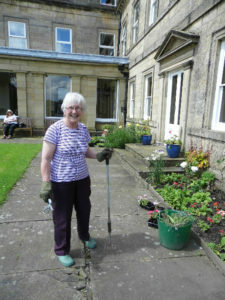 Up until she left last autumn Sr Therese was the keeper of the flower beds and a regular sight with a spade and a hoe. Rosaleen hopes that with some careful planning and a group of dedicated volunteers, we will be able to keep up the good work Sr Therese started. “We’re planning a meeting at the beginning of March to have a look at the borders and decide what needs doing and when,” says Rosaleen. “We probably only need six to eight people to commit to helping just a few days through the growing season, but we could do with them now to help us plan! 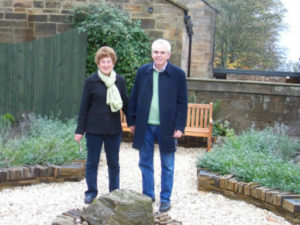 If you would like to spend a few days over the summer helping us to maintain this lovely space call us on 01434 673248, or e mail info@minsteracres.org and we will put you in touch with Rosaleen.